Mungalli Creek is a bio-dynamic dairy located in far north Queensland and they produce a range of products that include milk, yoghurt, cheese and dips. The cheese I'm looking at today is one that is very well known to Italians - Ricotta! Mungalli Creek has a tasting and tea room called Out of the Whey and it's open daily from 10am-4pm. The dairy uses bio-dynamic practice as developed by Dr Rudolph Steiner in the 1920's. While they don't use artificial chemicals or fertilisers they do use something called Preparation 500. This is basically manure packed into corn horns and buried over winter. The manure converts into colloidal humus and is said to help develop soil structure and encourage worms and other soil micro-organisms. With healthy soil you get healthy feed and in turn healthy cows. I often used Ricotta in recipes on this blog and have always stressed the important of avoiding those bland supermarket tubs of substances that bear no real resemblance to ricotta. 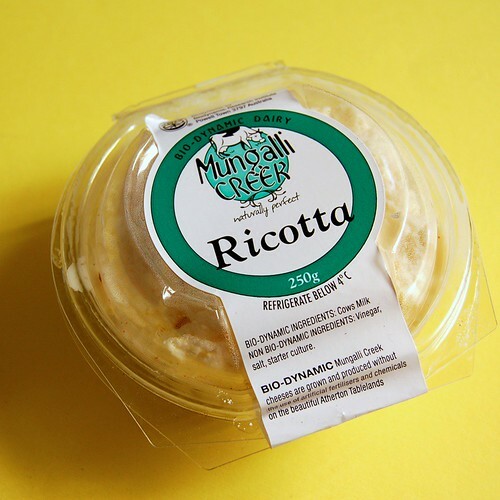 While I am a supporter of the basket pressed delicatessen versions, this type of ricotta is something I use when I just want to enjoy the cheese as it is. 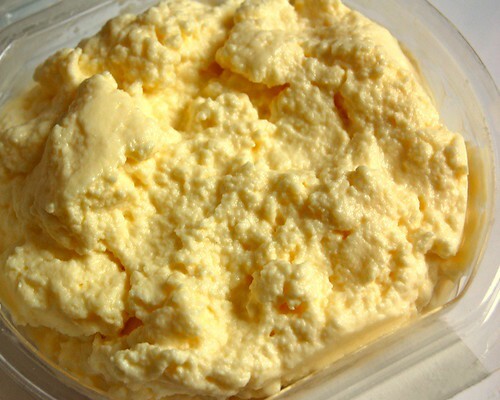 I think is as close as you can get to ricotta you've made yourself. 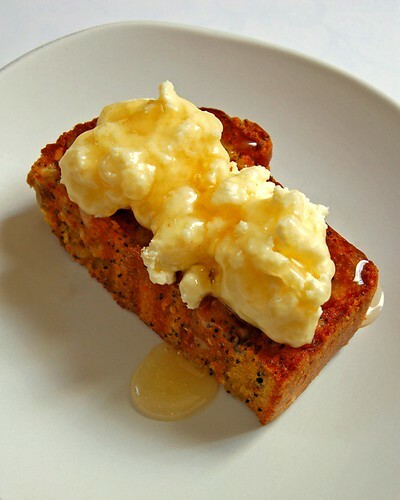 It's gorgeously dense and the colour of double cream - you can't help but spread it thickly on some toasted bread - which is exactly what I did, using the Seeded Orange Soda Bread. Thickly sliced and grilled until golden, a thick layer of creamy ricotta and for sweetness, a generous drizzle of honey. A slightly decadent way to start the day.